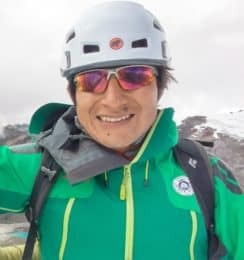 Join Marco, a local IFMGA certified mountain guide, in this 10-day trekking trip along the beautiful Huayhuash Trek, considered the 2nd best hiking adventure of the world. 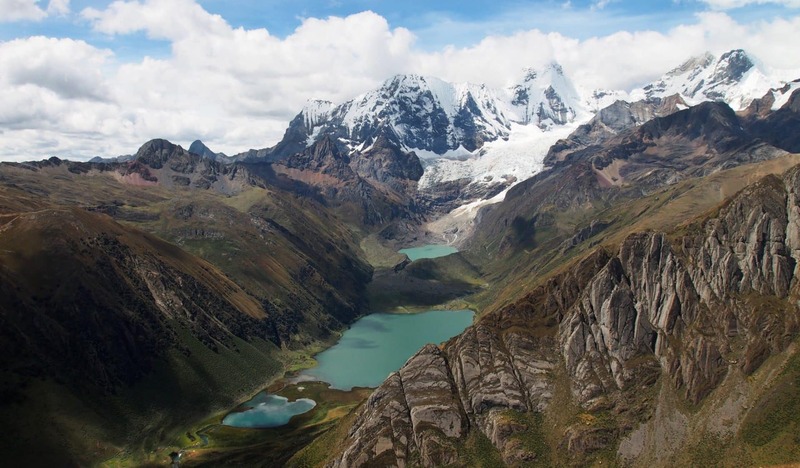 Welcome to an unforgettable trek along the breathtaking Cordillera Huayhuash! 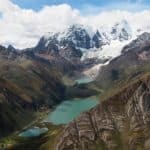 The Huayhuash trek is considered the second most beautiful trail of the world. It is a really amazing hiking route of the Cordillera Huayhuash, the second highest mountain range in the tropical region. During this great 10-day program, we will also visit the Siula Mountain, which is part of the Cordillera Huayhuash. In that mountain took place the famous movie “Touching the Void”. In addition, the stunning surrounding views, landscapes and lagoons will leave you with your mouth open. 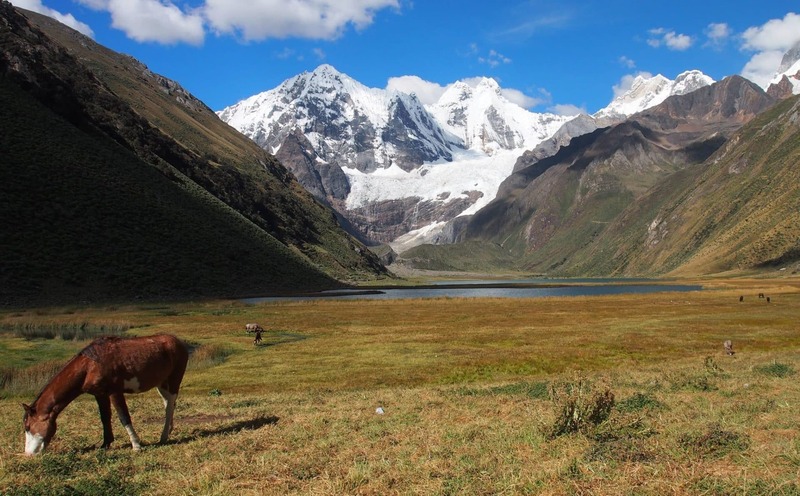 Undoubtedly, the Huayhuash Trek has something for everyone. The best season to enjoy this hiking trip is during the months from April till October. As it’s a moderate trail I can lead a group of 6 participants. If you are more than 7 people a trekking guide assistant will join us. At the bottom of this description you can find more details about the day-by-day itinerary. And if you like hiking adventures let me also recommend you the first part of my program in the Santa Cruz trek. It’s usually use as an acclimatization before a summit attempt. However, it also works perfectly as a trekking trip itself. For more information or if you want to book your place, please fill out the form and get in touch with me. I will be here, waiting for your contact! The day starts at 8 AM driving south in direction to Chiquian at 3400 m. Here we must walk down for about 1 hour and up again to Llamac (3300 m). We’ll arrive there by 2 PM where we will have lunch and spend the night. After breakfast in Llamac we will start the hike up for about 4 or 5 hours to the Cuartelhuain campsite. Along this route we will pass Popca, a small town. Later we will arrive at a small Pallca mine and finally we’ll get to the camping lot by 2:30 PM. From here we can see the Ninashanca Mountain in the south side. Overnight camp at 4300 m.
This day we start our hike at 8 AM. We must go up to the Cacanan Pass enjoying nice views around such as the Chaupijanca and the Cunchush. After that pass we will go down for about 2:30 hours to the Mitucocha campsite at 4200 m.
After breakfast we will start our trek to the southeast for about 2 – 3 hours to the Carhuac Pass. Then, we will go down for about 1:30 hour to the Carhuacocha lake, visiting the Jirishanca, Yerupaja and the Siula mountains. 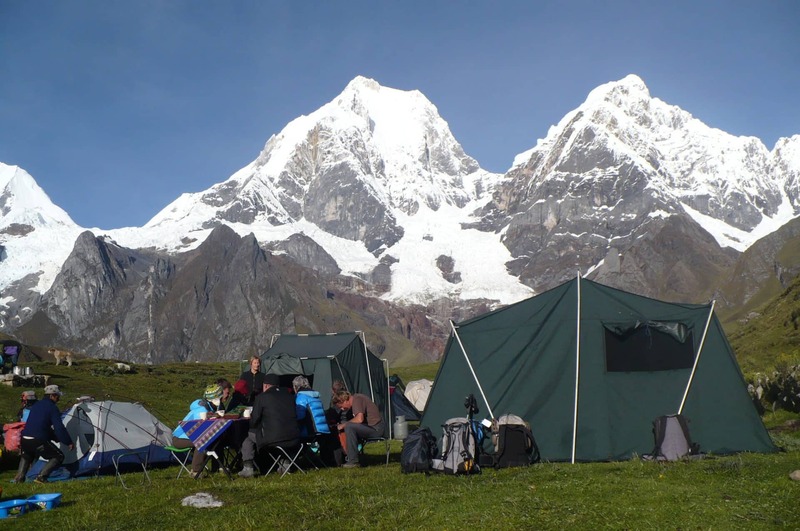 Overnight camp in Carhuacocha (4250 m). In the morning we will walk down for about 30 minutes and then near the Carhuacocha Lake for about 4 more hours continuing up to the Siula Pass. 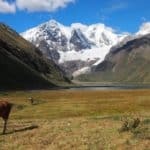 After the pass, we will go down to Huayhuash for about 2:30 hours where we can see the Trapecio Mount in the west side. 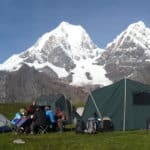 Overnight camp at 4300 m.
After breakfast in Huayhuash we will start to climb up to the Portachuelo pass at 4700 m. From there, we will enjoy the views of the Trapecio, Cuyoc and other mountains. After that we will start to descend to Viconga for about 4 hours, having lunch during the hike, until we get to the thermal waters of Jatuncocha, where you can take a relaxing bath. Overnight camp at 4100 m.
After breakfast in Viconga we will climb up to the Cuyoc Pass, the highest pass of the trip. From here we can see the peaks of Puscanturpa, Cuyoc and the Pumarinri glacier. So then we must descend to Huanacpatay for about 3 hours, where we will spend the night. After breakfast in Huanacpatay we will start going down to Huayllapa for about 4 or 5 hours. It is a village at 3400 meters of altitude. Then we must ascend to Huatiac for about 3 more hours, where we can enjoy the nice view of the Diablo Mudo peak. Overnight camp at (4400 m). Today we must walk up to the Tapush Pass for about 3 hours and after that we will go to the Yaucha Pass for other 2:30 hours. We will then continue going up to Jahuacocha for 2 hours and spend the night in the campsite at 4100 m.
After breakfast in Jahuacocha we will start hiking for about 1 hour, then we will go up to the Pampallamac Pass, at 4300 meters. After that, we will walk down to Llamac, where our private transfer will be waiting for us to take us back Huaraz. End of the program. Hiking - 14 days - Interm.